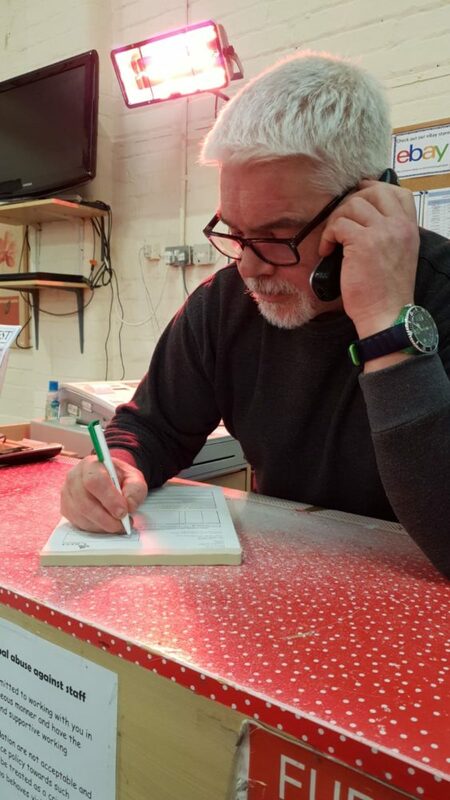 Here we have Barry, one of our excellent volunteers speaking to a customer over the phone to book a delivery. Look at the intensity in his face! He’s a man on a mission! He will not lose that sale! Carlo and Dan return to Crest in Motion. 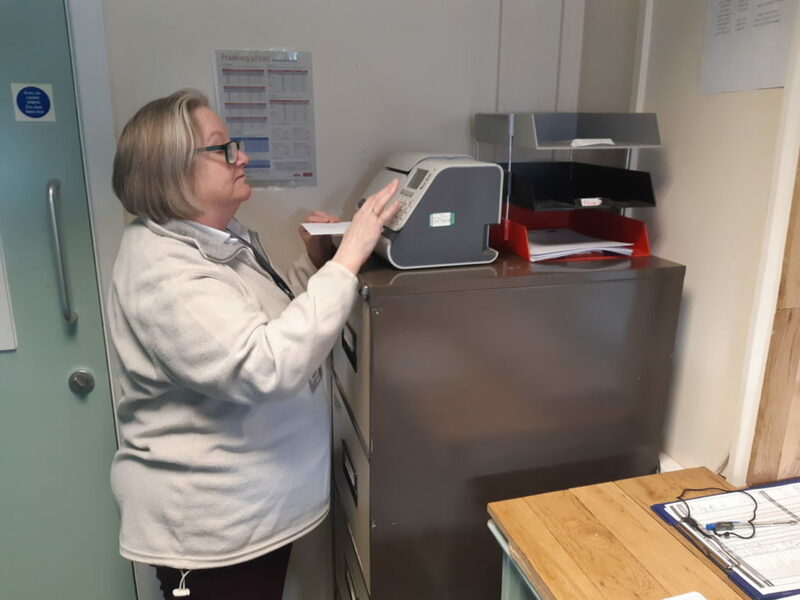 We collect tonnes of donated clothing – literally, and we have to weigh them on the scales before sorting through them. 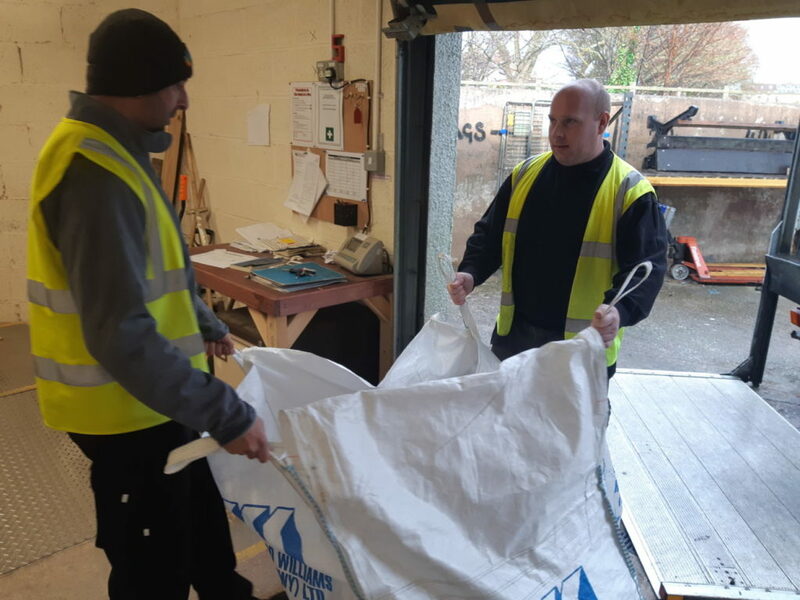 Carlo and Dan check all the textile banks regularly so keep donating! She may look like a customer but this here is the lovely Wendy, another one of our fantastic volunteers. She only agreed to doing a picture with us if we didn’t show her face! 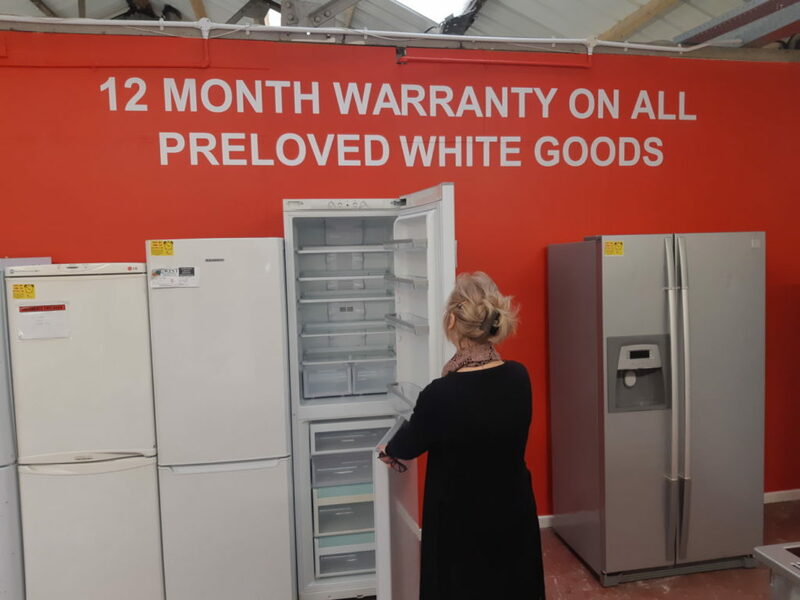 But she’s more than happy to help sell you a fridge freezer with a 12 month warranty! Today is Andrea’s first day helping us out in Reception! “I’ve not used a franking machine in years!”, she said, whilst franking letters. What ever happened to using the letterbox, are we out of touch at Crest?? And lastly but certainly not least, is our volunteer champion Jamie, who’s having a nap with his teddy bear Snuggles. 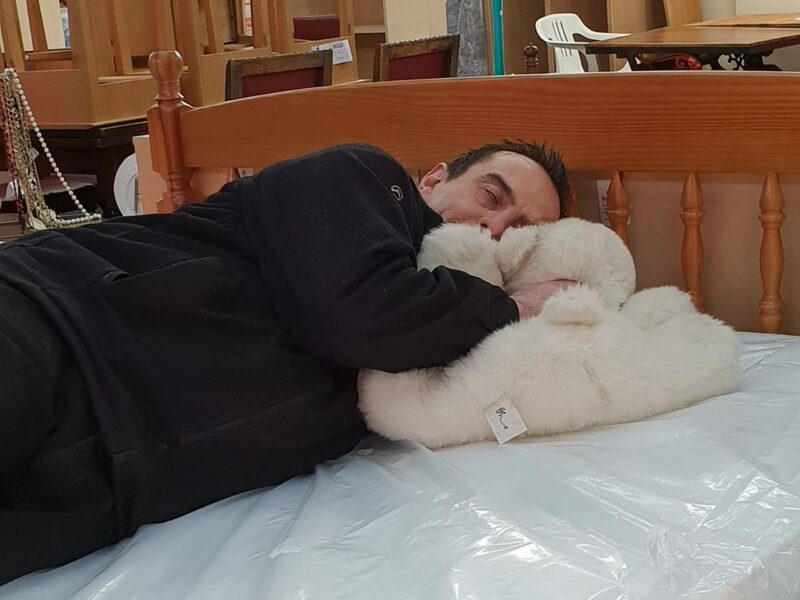 After doing so much painting for us, we think he deserves a rest!